Often at the end of the day, I am either A) running too late to make a creative dinner, or B) too exhausted to make a creative dinner. I know y’all can relate. So although I love cooking and I do find time to make something fun a few times a week, I typically call upon my normal dinner of salmon, asparagus and sweet potato fries. It takes me about 20 minutes to throw together, ticks all the nutritional boxes, and tastes great. I always keep a pack of individually wrapped salmon filets in my freezer. It’s so easy and fast to defrost one of those suckers, slap a sauce on it, cook it and then enjoy all the major health benefits salmon has to offer. 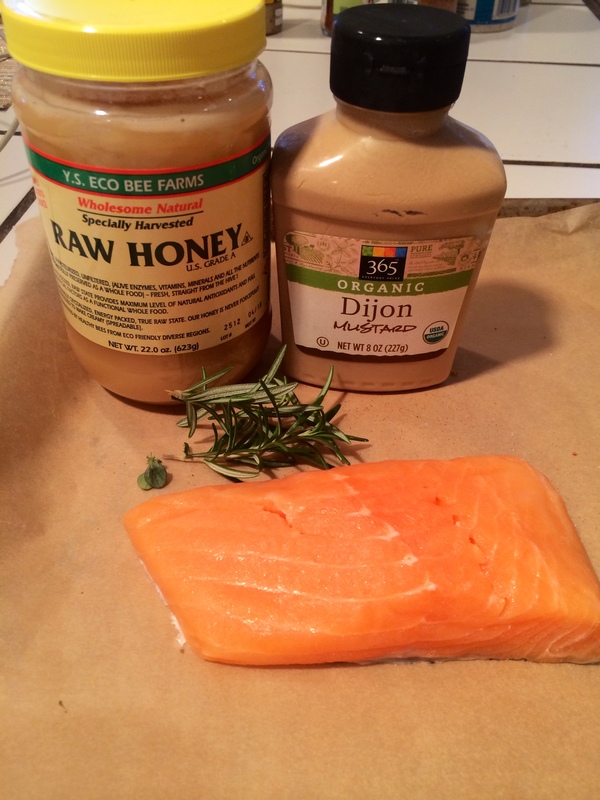 Salmon is one of the most nutritionally dense foods you can eat for dinner! But we wouldn’t want to get bored would we? This week I ate salmon on Monday night, Tuesday night and Wednesday night. To fight boredom, I styled it up a different way each night. All of these different ways to prep a filet of salmon took less than 10 minutes. And asparagus and sweet potato fries. always. The first two are cooked in the oven, and the last quick recipe is on the BBQ in case it’s too hot in your house to turn on your oven. 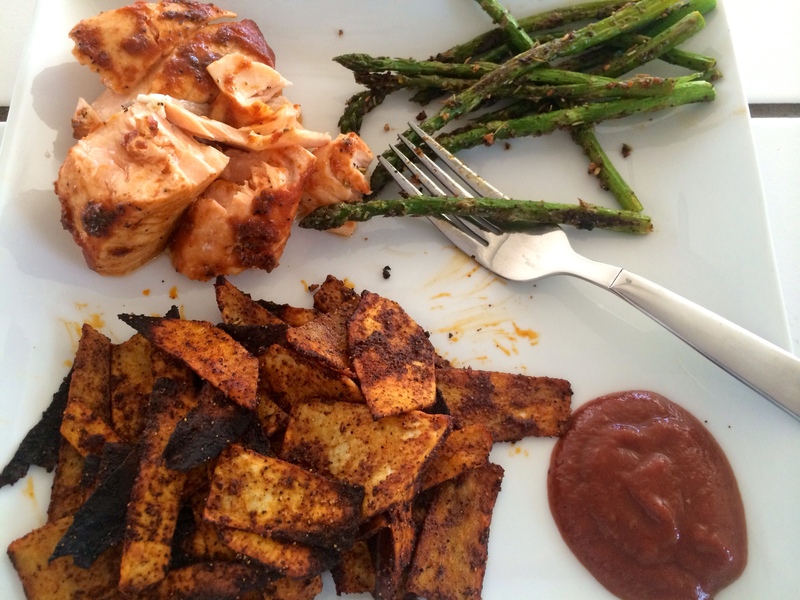 1T any favorite spicy spice rub – I like Whole Spice Napa Valley’s Chipotle Honey Rub. If you want to make your own, it includes chili powder, cumin, Mexican oregano, garlic, coriander, sea salt, honey, black pepper & hickory salt. 1. 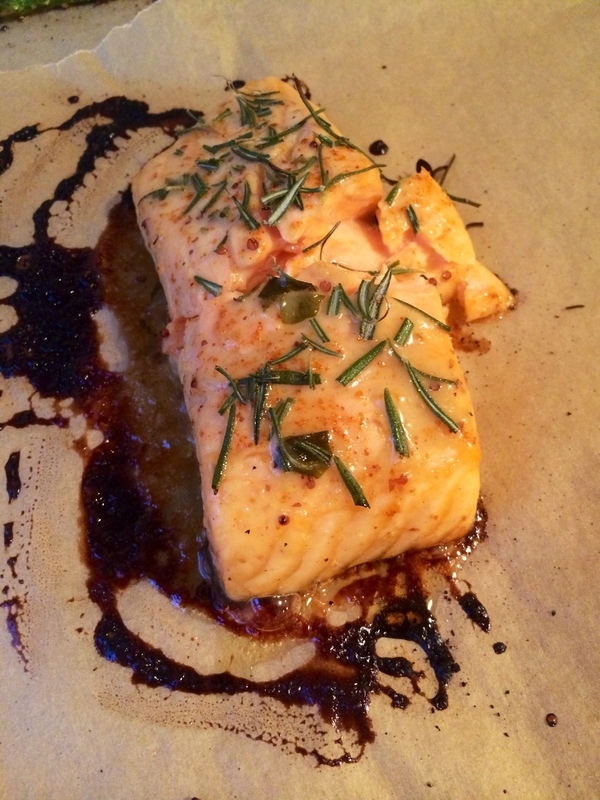 Place salmon on a baking sheet lined with parchment paper for easy cleanup. Preheat your oven to 450. 2. 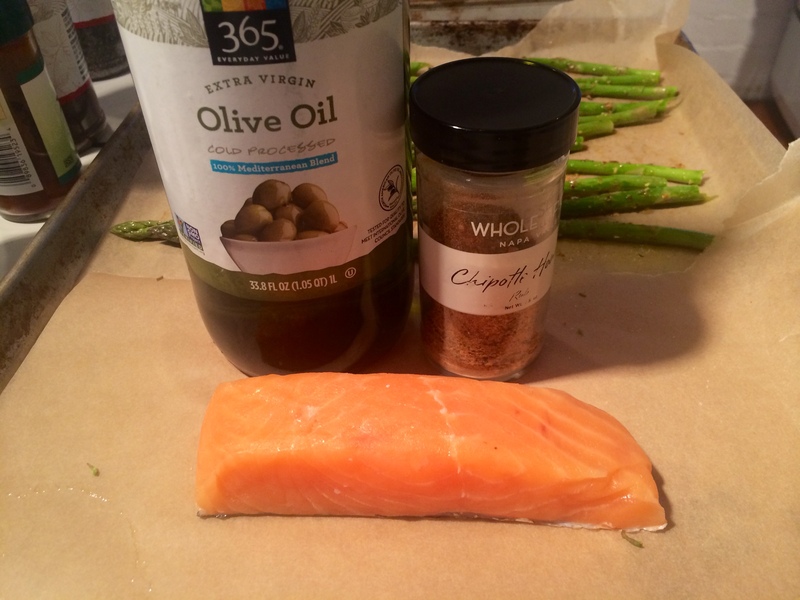 Lightly brush the salmon with olive oil (I just use my fingers…shhh). 3. 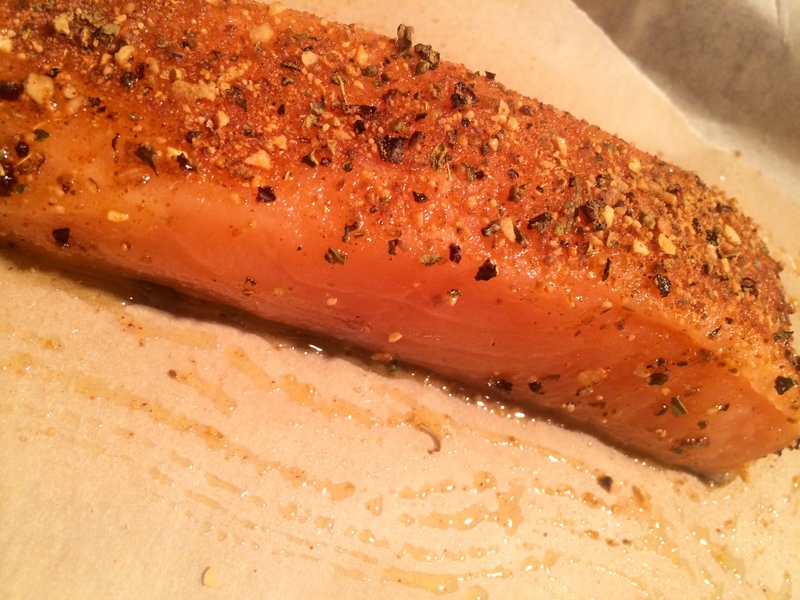 Gently press a thin layer of the spice rub into the top of the salmon filet. 4. Cook in 450 degree over for 7-10 minutes, or until done to your preference. 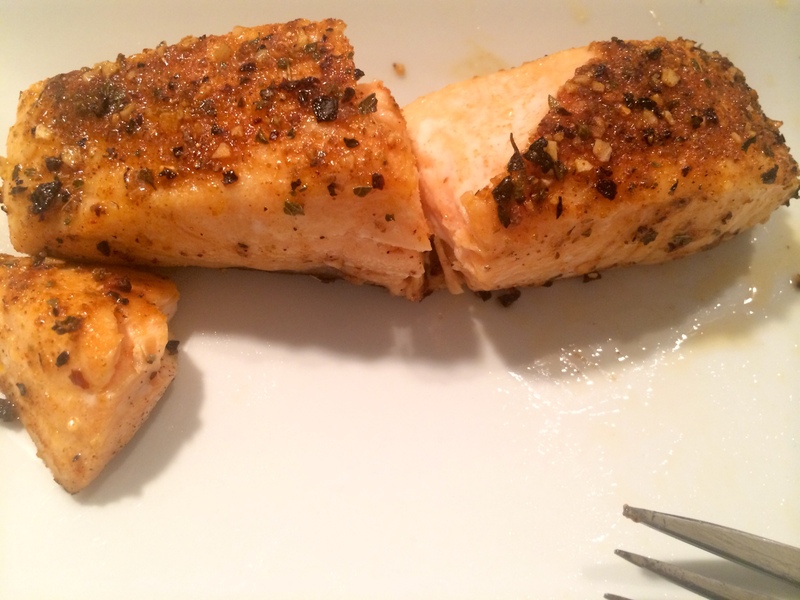 The salmon should easily flake when you press into it with a fork. A spicy & sweet rub always does the trick. Rosemary is my favorite herb. 2. Mix the honey & mustard together well. Brush a layer over the salmon filet. 3. 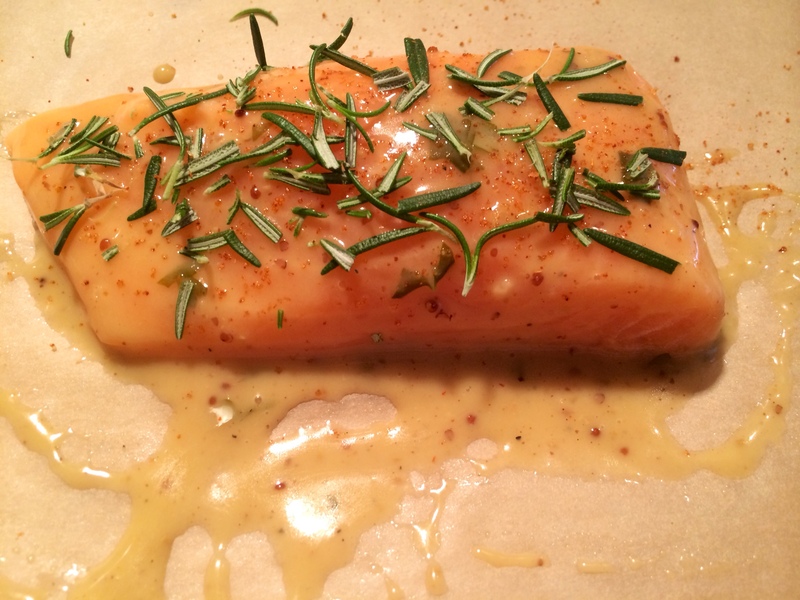 Finely chop the rosemary and sprinkle it over the salmon. My friend Nate’s BBQ sauce is the bomb. 1. Fire up your grill and tear two pieces of tin foil together. 2. 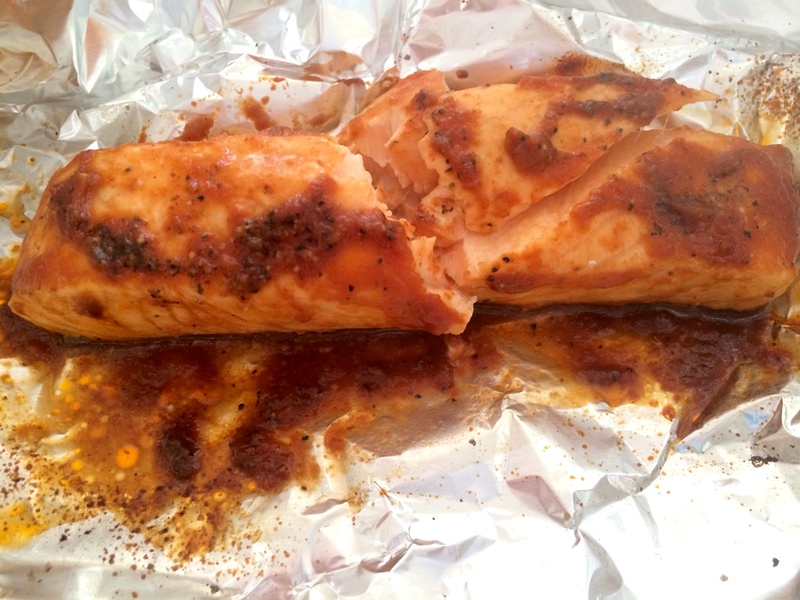 Place the salmon on top of the tin foil with plenty of room left over to fold the foil over the top. 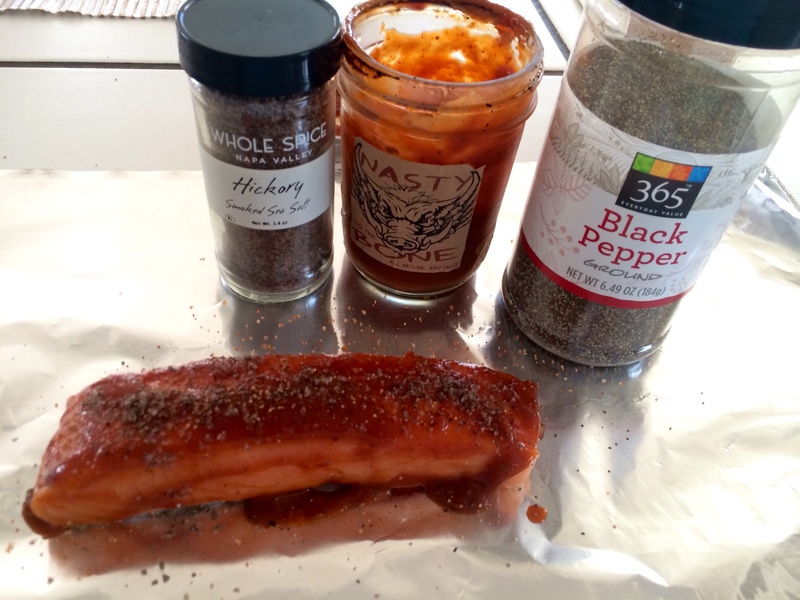 Pour your BBQ sauce over the salmon filet & top with salt & pepper. 3. 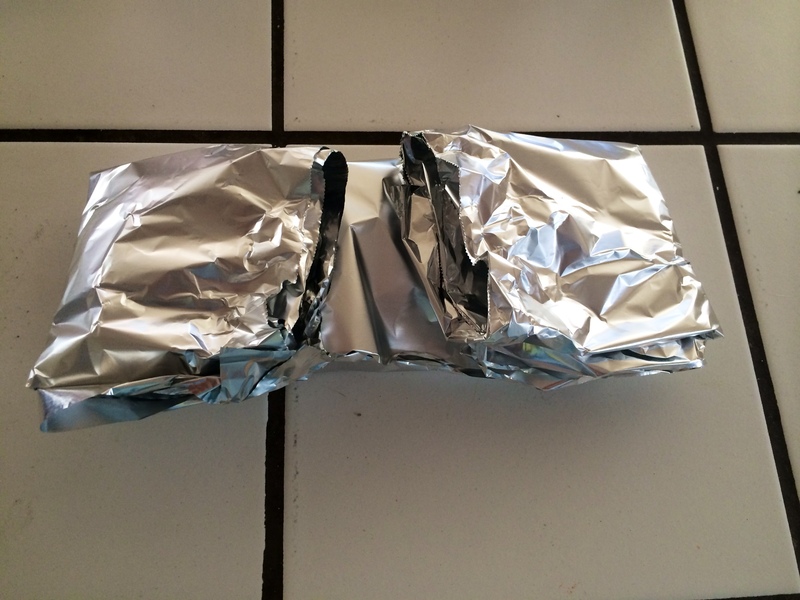 Fold up your tin foil like a present. And oh, a present it is. 4. Place the foil packet on the grill and grill for 10-12 minutes, or until the salmon is done to your taste. The BBQ might be my favorite. Not that I play favorites with my salmon.